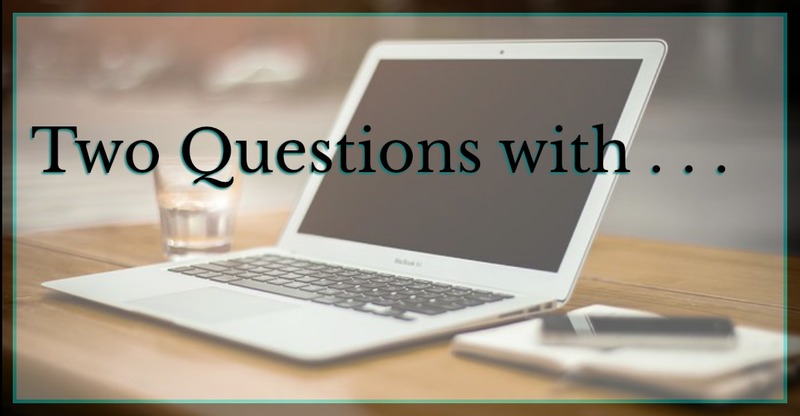 This week I am Pleased and Proud to host my friend Janet Walden-West in kicking off the “Two Questions With…” blog tour. Huge thanks to Janet for taking the time to participate. I’m really glad you came along for the ride. Thanks for inviting me to drop by and talk shop during the first part of the “Two Questions With…” blog hop. 1.What attracted you to your genre(s)? I fell into SF/F by accident. Like many kids, I was horse and dog crazy and would read anything with an animal on the cover. After I exhausted our small library’s story options, out of desperation, I picked up a couple of books with weird creatures on the cover, rationalizing that shaggy werewolf-thingys were sorta like dogs (Lloyd Alexander’s Chronicles of Prydain), and unicorns were sorta like horses (Jane Yolen). Okay. This science fiction and fantasy stuff was pretty awesome. Then, I stumbled on Terri Windling’s Bordertown shared world anthologies/series and Mercedes Lackey’s Diana Tregarde mysteries. Wow, did those stories click. I’d found my writing-home in Urban Fantasy. I adore the rich mix of mythology, history, and magic, twisted and reimagined, and set against a contemporary real-world backdrop. If you could give Past You one piece of advice, what would it be? Not that Past Me would listen, because I always do things the hard way, but don’t query too soon. Let me repeat that.Don’t. Query. Too. Soon. FOMO is a thing. I get it. But you only get one shot at that agent with that story. If you send in a pretty good version because it feels as if everyone else is querying or getting agents or getting publishing deals, then realize…hmmm. Your story wasn’t ready? You’ve lost a chance. Keep your eyes on your own paper. Take your time. Send your story to CPs. Digest their notes and examine how to address anything that resonates. Revise. Send it to more CPs. Wash, rinse, and repeat. Do this as many times as necessary. Ditto for your query. I also recommend sending queries in small batches, evaluating your request rate, and retooling and tweaking as needed. Trust me. The agents and publishers will still be there when your promising diamond in the rough is finally a polished five-carat gem. Janet Walden-West lives in the southeast with a pack of show dogs, a couple of kids, and a husband who didn’t read the fine print. She has an unseemly obsession with dusty artifacts, great cars, and bad coffee. 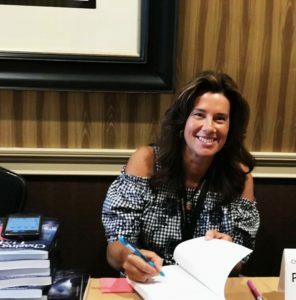 A founding member of the East Tennessee Creative Writers Alliance and The Million Words craft blog, she is also a member of Romance Writers of America. She pens Urban Fantasy that escapes the neat confines of the city limits in favor of map-dot hillbilly towns, and inclusive Romantic Suspense and Contemporary Romance. A #PitchWars alum, her first short story, Road Trip, is included in the Chasing the Light anthology. This entry was posted in Blog Tours, Two Questions With and tagged Blog Tours, Two Questions With. Bookmark the permalink.